2 months of reserves on the subject property if it’s a second home. 6 months reserves on subj. property if it’s an investment property plus 2 months reserves on each other second home or investment property. 6 months of reserves on the subject property if it’s an investment property plus 6 months reserves on each other financed second home or investment property. 70% LTV for purchase of 1-unit and 70% for 2-4 units. 720 minimum low-mid credit score. No history bankruptcy or foreclosure in the past 7 years. Rental income must be documented with two years tax returns. Borrowers required to sign form 4506 (which you can expect on ALL loans these days–including owner occupied). Don’t forget that there is a significant price hit of 0.75% to fee from Fannie and Freddie with investment properties on top of the credit score/loan to value adds (LLPA). Seller contribution is limited to 2% of the sales price with investment property. Underwriters will be very strict on investment properties in today’s real estate climate so be prepared. If you are thinking of buying investment property contact me and we can discuss your options before we go house hunting. 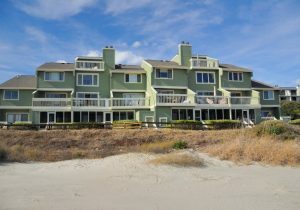 of Charleston, SC the Isle of Palms holds a little resort “gem” called Wild Dunes. 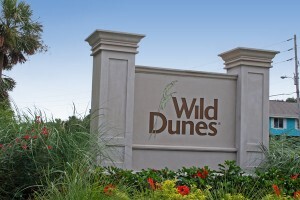 Gated, but not private the Wild Dunes resort is open to the public for golf, tennis and dining. Isle of Palms, is just on the other side of Mount Pleasant in Charleston county across the isle of palms connector. Mount Pleasant is one of the Charleston area’s most popular suburban communities. Real estate in Mount Pleasant SC is what you would expect to find in most “standard” suburban areas around the country. However, you must be aware of what it takes to buy in a gated resort. Unlike purchasing a home in a “normal” area, owning in a resort comes with some extra costs you might not be used to. Resorts have more costs like regimes, HOAs, Dues, and at Wild Dunes in SC There is a ONE TIME transfer fee of 1/2 of 1% of the purchase price. So if you purchase a $500,000 home that means you’ll pay $2500 transfer fee to the Wild Dunes Association. This helps pay to keep up the area (in addition to your monthly regime payments), and HOA dues. Which ALSO go to help keep up the maintenance of the building (if SFA), grounds, amenities, insurance, clean up, etc. The HOA monthly payments (aka regime fees) usually range from $350 month to well over $1000 depending on the building and area. Some of the condo developments ALSO have a half of 1% capital contribution fee due at closing. Regime dues can be monthly, quarterly or yearly and vary greatly. The good news is that these payments also cover your insurances on your unit for the wind coverage, flood, and hazard (especially when pertaining to condo/villa). Not SFD. These fees do not give you free golf in the resort, however most times ownership in a resort does get you some privileges and discounts for use of golf, and tennis amenities. Regimes By Building & Property: $748 HOA payment each year as well. Every year people come to The Isle of Palms, to vacation in and buy Wild Dunes real estate and enjoy the lifestyle of living or owning a home in the Wild Dunes resort. Featuring two stellar golf courses, sand tennis courts, elegant landscapes, beach access, swimming pools all over, Wild Dunes offers a vacation lifestyle anyone could love. From an investment standpoint having a vacation rental on the island isn’t a bad choice either. Many of the homes on the Isle of Palms rent for $5000+ a week, and beachfront condos can easily gross $40,000 – $80,000 a year. This is 1/13 Share of 54 Fairway Dunes Villas which is four weeks per year for you to enjoy. Costs are divided by 13. This is a 3 bedroom 3 bath condo overlooking the 6th Fairway of the Links Golf Course. This partnership changes over on Mondays…. Monday-Monday rotation…A great way to own Front Beach property…ownership of 4 weeks/yr…1/13 interest in a 3 bedroom, 3 bath oceanfront condo in Wild Dunes…Well established Partnership….Beautifully furnished & well maintained. You need to consider SHARED OWNERSHIP & enjoy the Beach…. 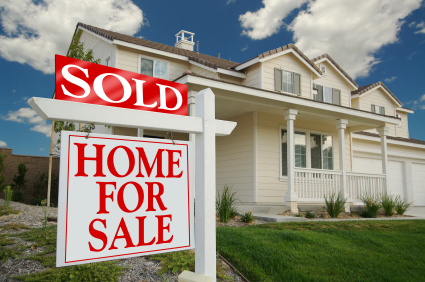 buying a home Charleston Real estate first time home buyer Home Prices Home Values investment properties Sell Home Now Sellers south carolina When do I sell? Now it’s Oct. of 2011… I originally posted this piece below in 2010 in response to this “expert” from the Wall St. Journal who claimed then that home prices would be increasing. Evidently this “expert” was wrong. To further update you as to my opinion I still feel that anyone considering selling should do so now because the housing market is probably only going to worsen. Fast forward to 2012 and I was correct. There is a thing called shadow inventory that have yet to hit the market up to some say million new homes. What do you think will happen to home prices then? If you have any concerns about selling your home in Charleston you better start to sell it sooner than later, because as the banks begin to trickle out their foreclosed homes, this will keep the market soft. Furthermore, rates are likely to increase in the next few years which will also deter those considering buying homes to get cold feet or be able to afford less. (Below Written 05/2010)It’s been a while since I have posted an opinionated piece because most of my posts are more geared toward news and information for the public and how it pertains to the industry of real estate. However in this case, I couldn’t shake this ludicrous idea by a writer at the Wall St. Journal. I have always respected the Wall St. Journal, but this one has me baffled. I have been in the real estate industry for going on 14 years now- (12 years in mortgage financing), and 5 years as a real estate agent Considering most of my experience has been financially related I tend to follow those trends the most seeing as there wouldn’t be sales of real estate without money to finance them. Let’s face it, there aren’t that many people liquid enough to pay cash so truthfully it all revolves around money. Even insurance revolves around money and is a great indicator of overall economic health. Each property has to be insured, each business, each profession has to have insurance, and yes mortgages have insurance.With that said, the piece from the Wall St. Journal by James Hagerty goes like this: “U.S. home prices will begin a gradual recovery by next year, according to a survey of 92 economists and other housing analysts by MacroMarkets LLC.” They then go onto write; “The analysts surveyed by MacroMarkets on average expect home prices, as measured by the S&P/Case-Shiller national index, to rise about 12% in the five years ending Dec. 31, 2014. As of Dec. 31, that index was down about 28% from its peak level in mid-2006”. Obviously I am assuming that Mr. Hagerty is just going off research and information given to him by MacroMarkets and these 92 economists, but I can’t believe the editors of the Wall St. Journal let this go to print. I can’t lay all the blame on the Wall St. Journal because they are apparently getting their info from these economists. I am sure out of 92 economists they most likely have many more years then I analyzing data, but let’s look at the facts and you decide for yourself.National Mortgage News (an industry news subscription service) sends me monthly emails about the latest data coming from multiple outlets such as: National Association of Mortgage Bankers, national appraisal companies, commercial finance institutions, etc. Remember financing/economics tell the facts about what’s really happening. Of 11 articles 7 of them were negative, but a few are really telling.I am just going to give you the blurb “gist” of the piece.1.) Residential delinquencies climbed to yet another new high at March 31 with 10.06% of all mortgagors behind on their payments, according to new figures released by the Mortgage Bankers Association. Think about it… If delinquencies are on the rise, as they have been continuously for almost 3 years how are home prices going to go up? When people are having to short sale their homes, get foreclosed on or bank sales increase, then home prices will inevitably continue to fall.2.) Loan applications to buy new or existing homes plummeted 27% last week, reaching a 13-year low, according to new figures released by the Mortgage Bankers Association. If loan applications plummeted on purchases by 27%… Well you don’t have to be a rocket scientist to see that home prices aren’t going to go up if there aren’t any sales.3.) The loan buyback plague continued on unabated in the first quarter with three seller/servicers, accounting for about three-fourths of the industry’s repurchases, according to an analysis done by National Mortgage News. Here is how this works. When I loan is originated by a company, they then sell that loan to a larger institution (usually Bank of America, US Bank, Wells Fargo, just to name a few). If those loans under perform and have too many delinquencies within the first year then the originating company has to buy that loan(s) back. Another scenario is; if the purchaser audits the file after purchasing it and doesn’t like something in the file they can also force the seller to buy it back. Why is this bad? If the buy backs are due to delinquencies then that means those home owners can’t afford their payments, or lost their job, etc. Therefore, eventually their home will have to be sold and most likely for less than they paid for it. Subsequently sending home prices down. My last bit to this post has nothing to do with the news articles written by the National Mortgage News, but about financing, FHA, VA, and FNMA. Our government is currently at a 94% debt to income ratio and can barely pay it’s bills. Meaning the U.S. really doesn’t have money to be buying mortgages from banks, and to decrease their risk of having delinquent loans they will have to increase the amount of money buyers will be required to put down, resulting in less people that qualify to buy. Secondly, the U.S. Fed recently quit buying treasury bonds (security instruments backed by mortgages), and If little to no one is buying mortgage backed securities in large quantities then eventually mortgage rates will increase, subsequently, making it harder for people to qualify for home purchases. The less people qualify the less sales will happen therefore sending home prices down. Simple supply and demand.Yes; there may be some tiny bits of data compared to the rock bottom days of a year or two ago that might lead economists to believe the trend is for prices to go higher, and yes home sales might have been increasing over the last couple months. However, the increase in home sales is due to one reason and one alone. The home buyer tax credit was about to expire so those people that were otherwise too afraid to purchase finally had reason to. Now that the credit is gone, so goes the buyers.The overall picture in my opinion is not good, not good at all. As a whole the real estate market is posed to continue to slide, and as the U.S. economy continues to flounder the housing outlook is sure to follow. I am not a pessimist by nature so don’t get me wrong. Yes, everyone should stay positive and believe we can make a change for the better. Believe me I want nothing more than to be wrong, but being realistic is something I am, and the facts point me in that direction.Follow up: Again I am not sure where the 92 economists where getting their info from..Latest from the Case-Shiller index on 05/25/2010“The housing market may be in better shape than this time last year, but, when you look at recent trends there are signs of some renewed weakening in home prices,” said David M. Blitzer, chairman of the Index Committee at Standard & Poor’s. “In the past several months we have seen some relatively weak reports across many of the markets we cover.”A separate Case-Shiller index that is released quarterly and covers the U.S. showed home prices fell a seasonally adjusted 1.3% in the first quarter of the year compared to the fourth quarter of 2009.If you are thinking about selling your home in Charleston, Mount Pleasant, Isle of Palms, Sullivans Island, Daniel Island, Folly Beach or the surrounding areas please contact me and I will gladly meet with you to discuss your options.